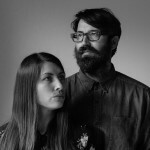 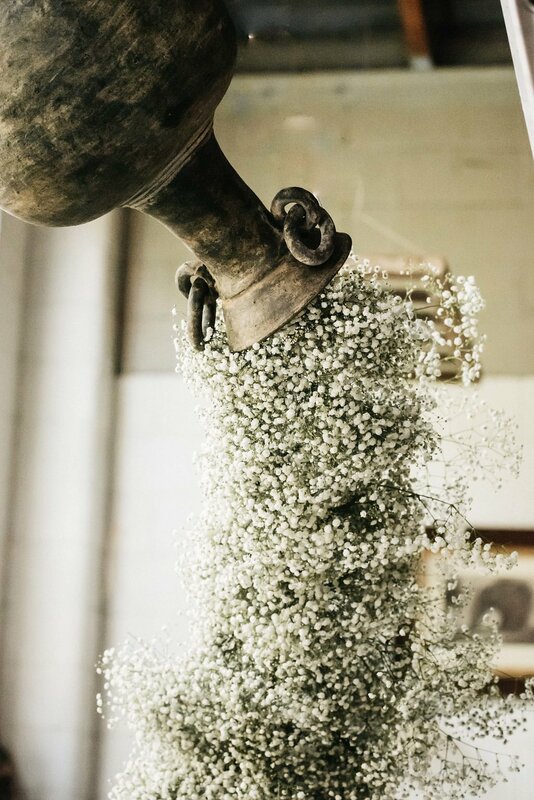 to move steadily and continuously in a current or stream. 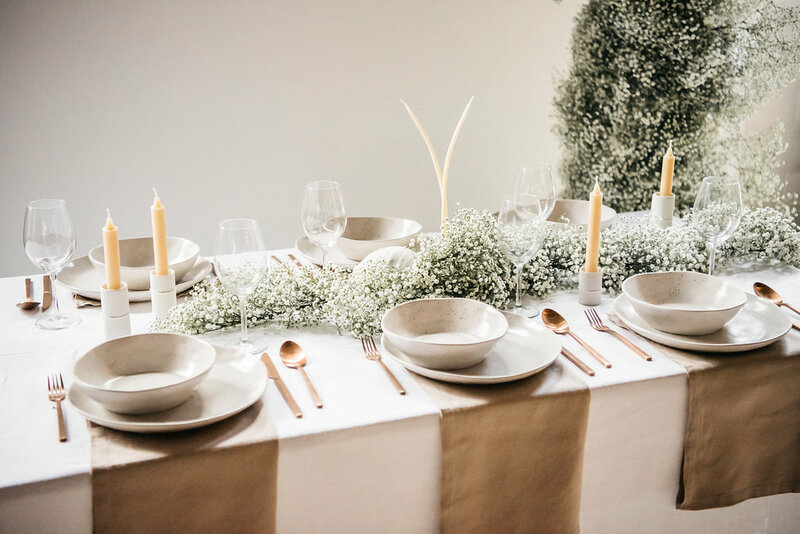 A collection of frames exploring some of the basic design principles of balance, unity, rhythm, proportion and emphasis to create a space of simplicity and beauty. 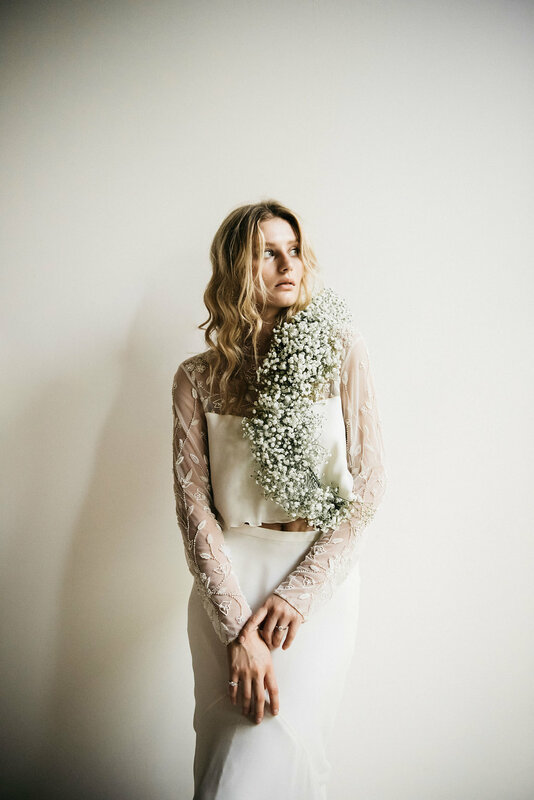 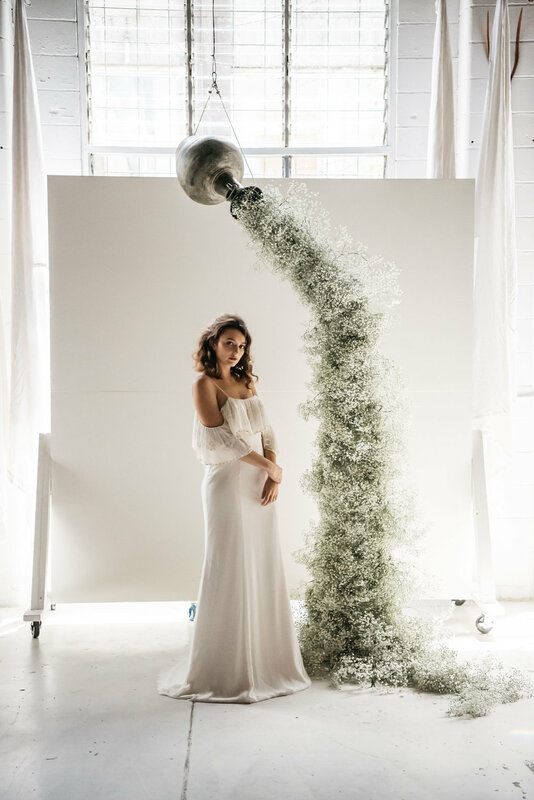 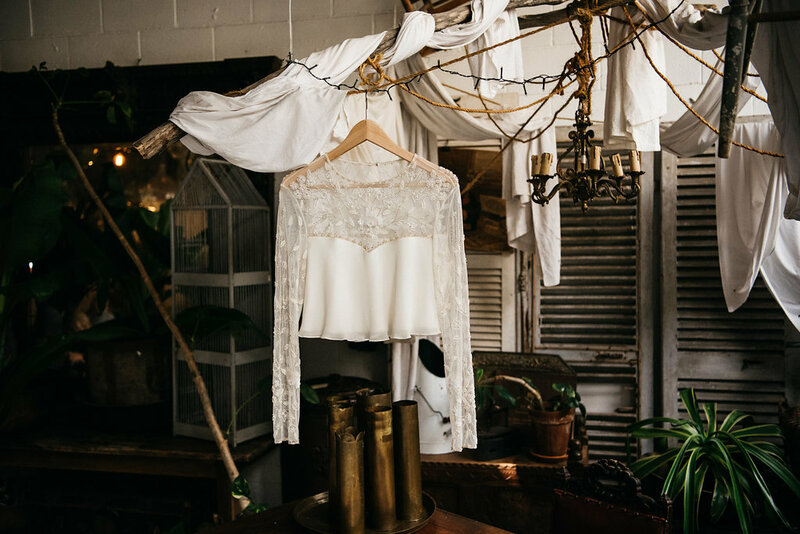 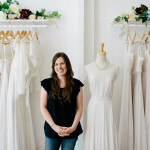 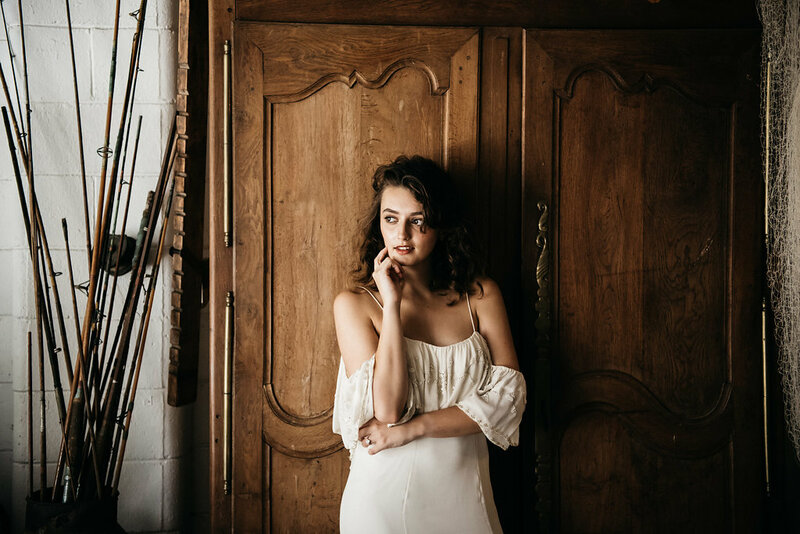 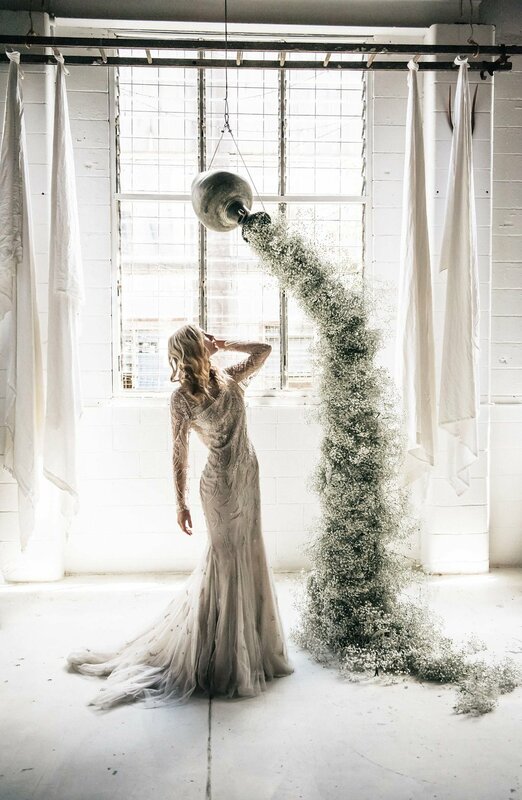 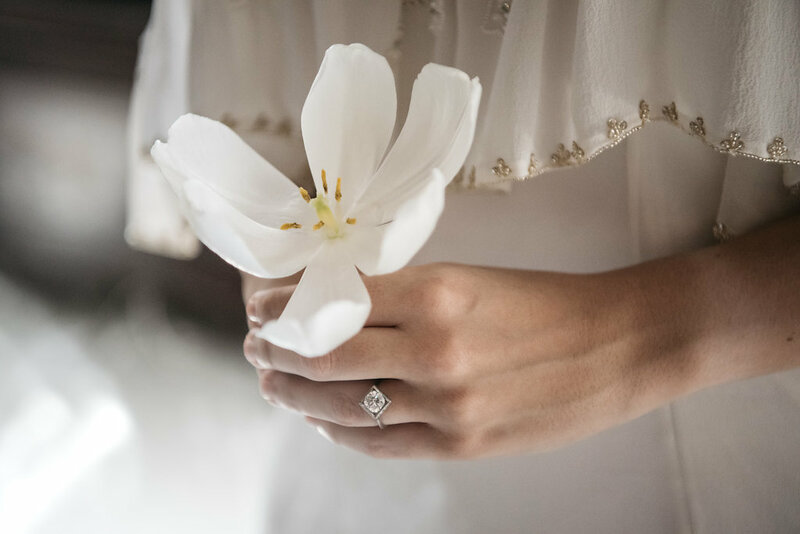 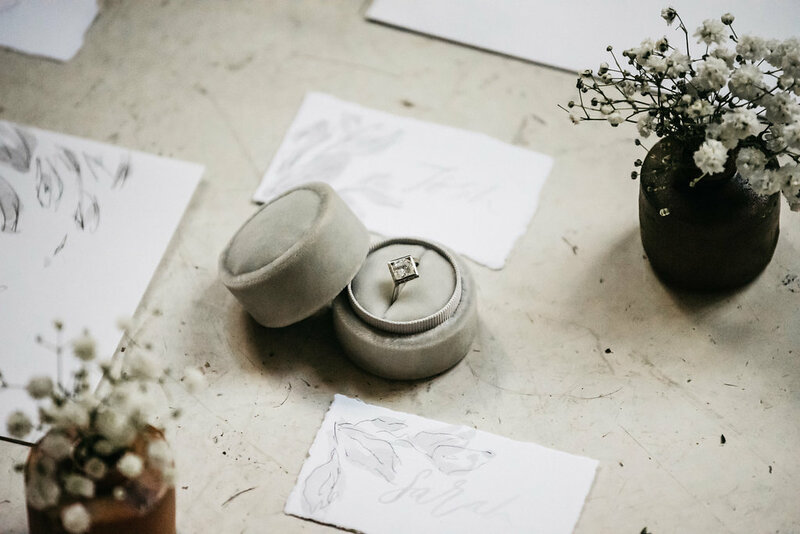 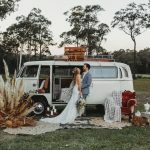 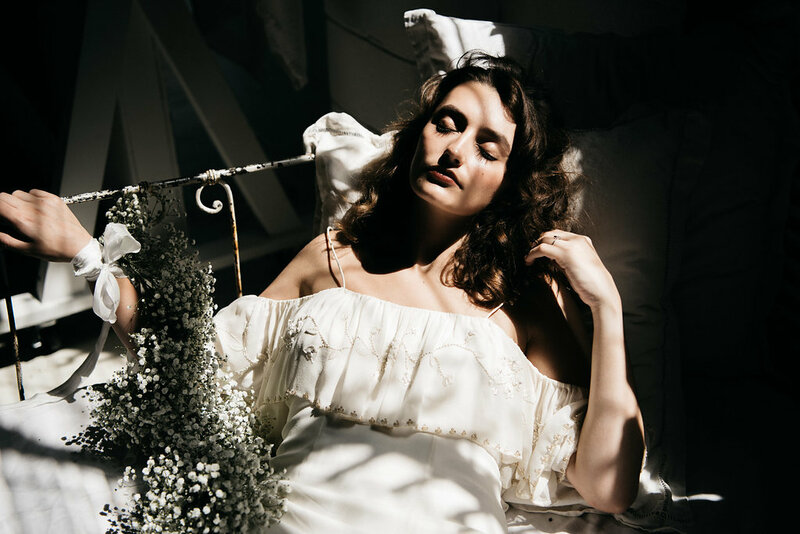 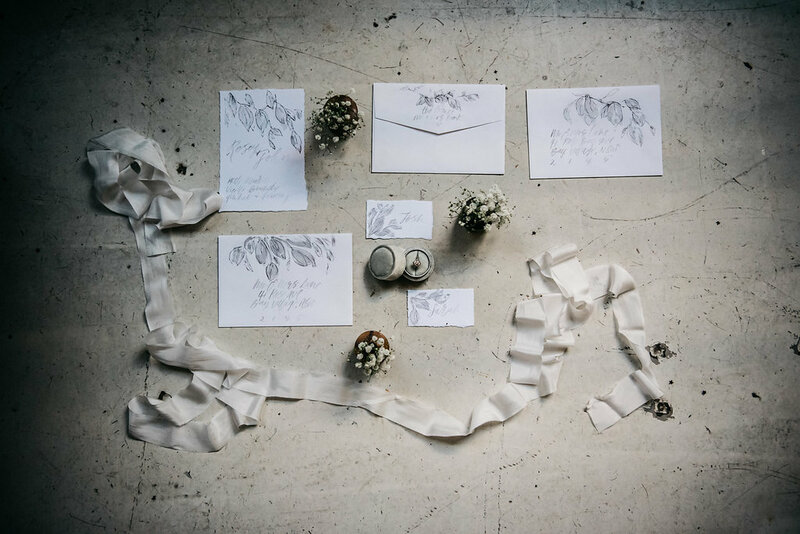 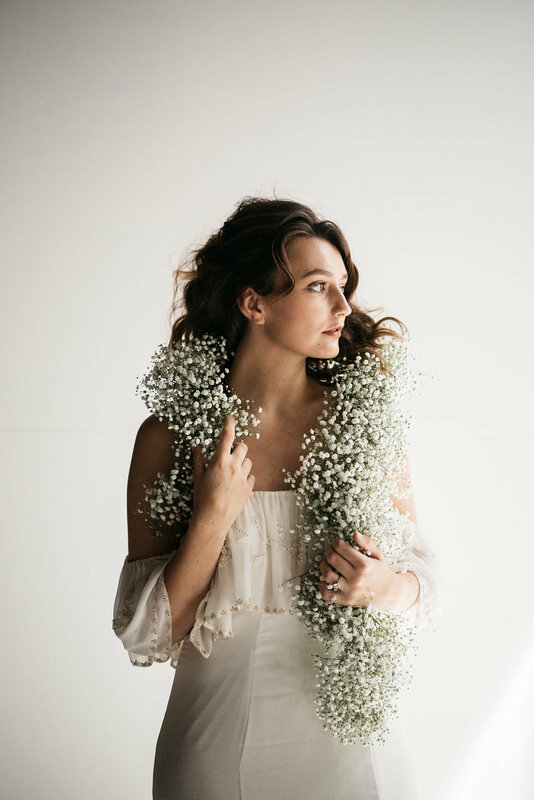 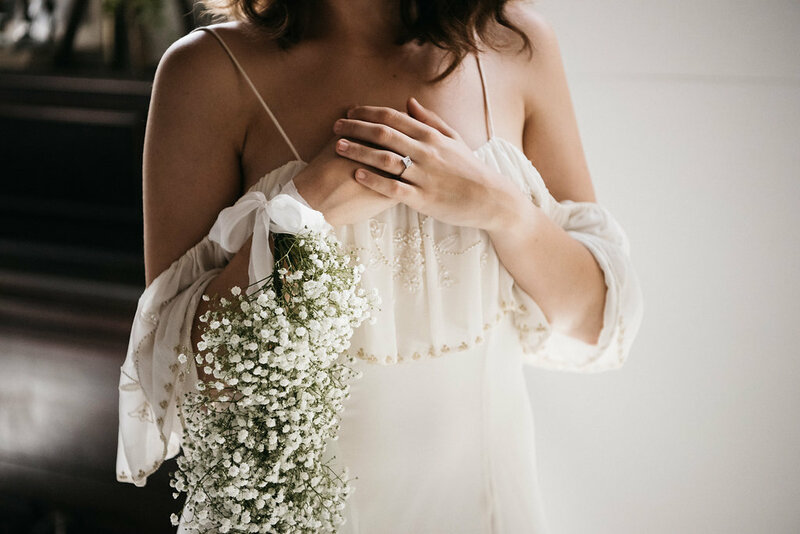 Wild at Heart Flowers has primarily focused the styling for this bridal shoot to draw attention to the simplicity of using a single bloom on mass in various ways to create an ethereal and soft flow from one space to the next. 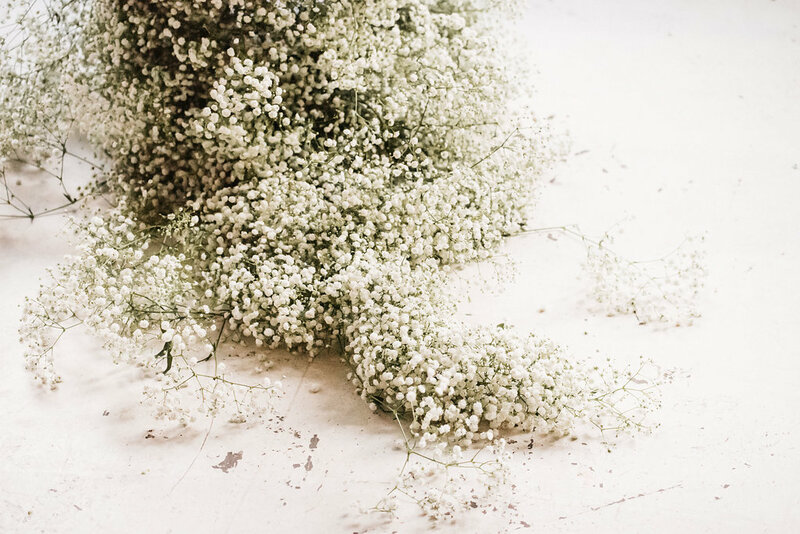 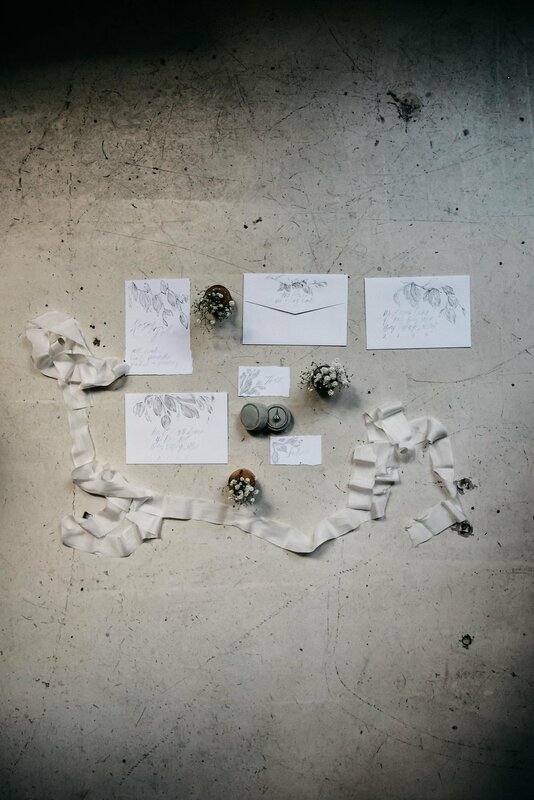 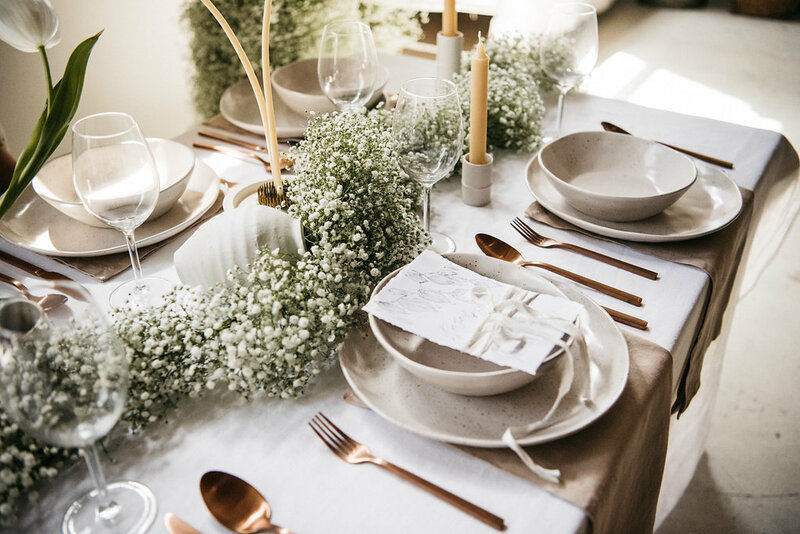 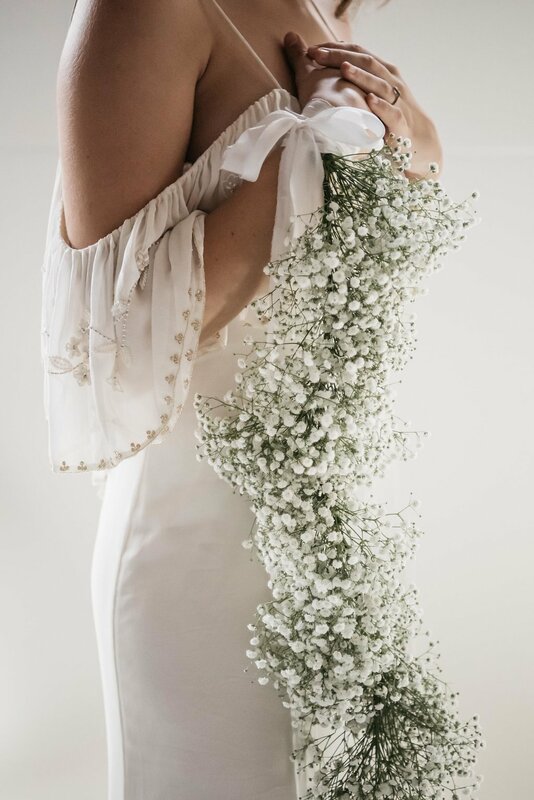 From installation, to cascading bouquets, to table garlands the mood seamlessly flows with one continuum of repetition aligned with the use of just Gypsophila. 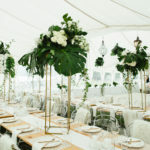 It’s so refreshing to be able to repurpose items from ceremony space to reception in a seamless flow of connectivity and with meaning and allow them to still hold the same ambience and finite quality of the flower. 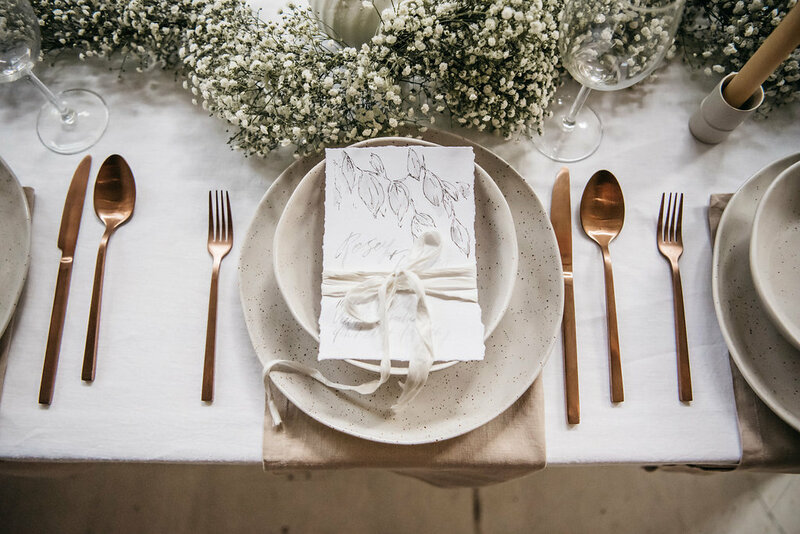 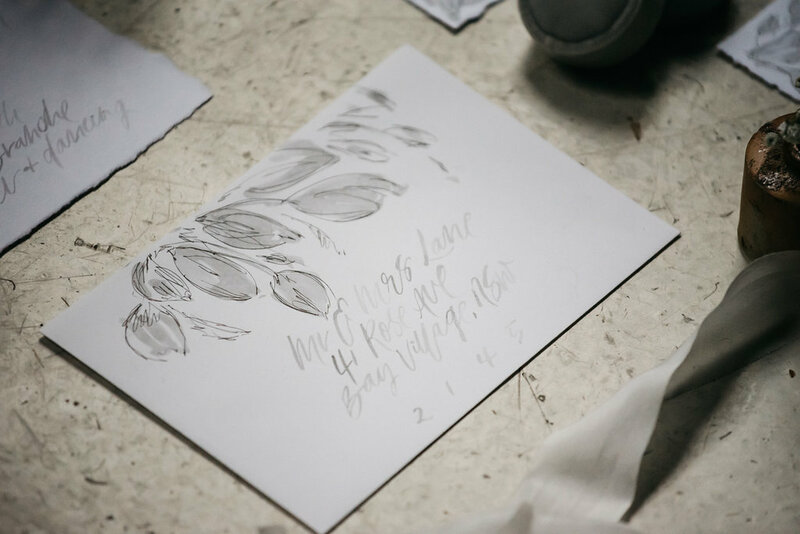 Neutral tones of varying layers and subtle décor accents were used to compliment the simplicity of feature flower. 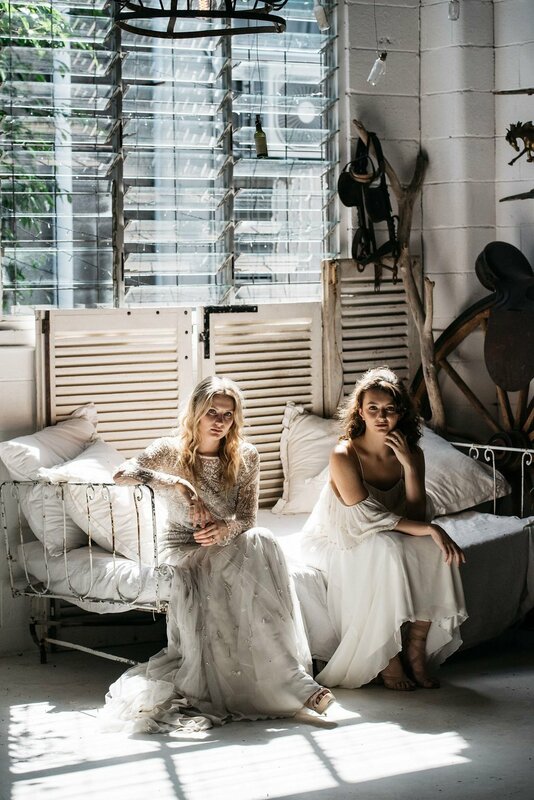 The space of Vieille Branche is well known for its treasure trove of collectables and antique French pieces strewn from the roof however the space also with its bare industrial warehouse features also lends itself for editorial use and event hire along with having established itself as a favoured wedding venue in Brisbane. 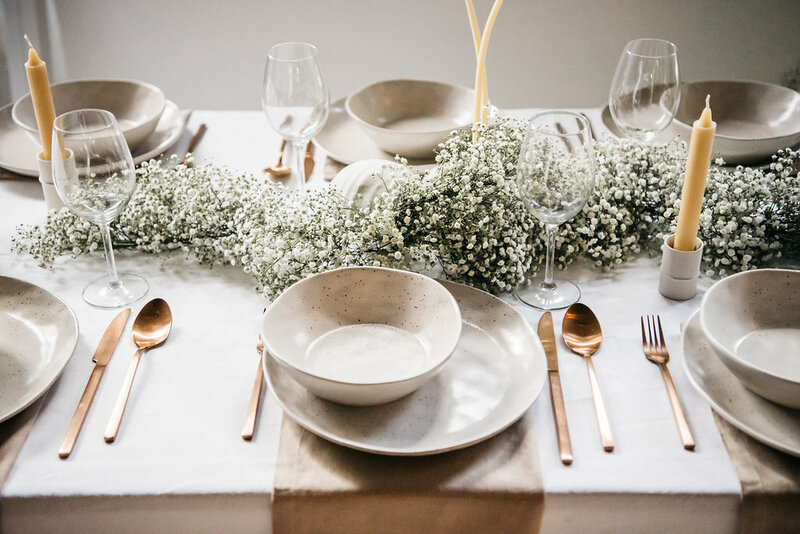 We decided to pair back the space for a minimal feel whilst still exploring some of the suspended possibilities and special features of the building such as the oversized ceilings and the large central industrial windows that create the most magical light throughout various times of the day. 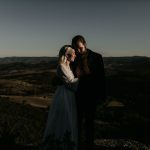 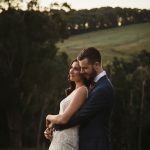 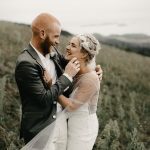 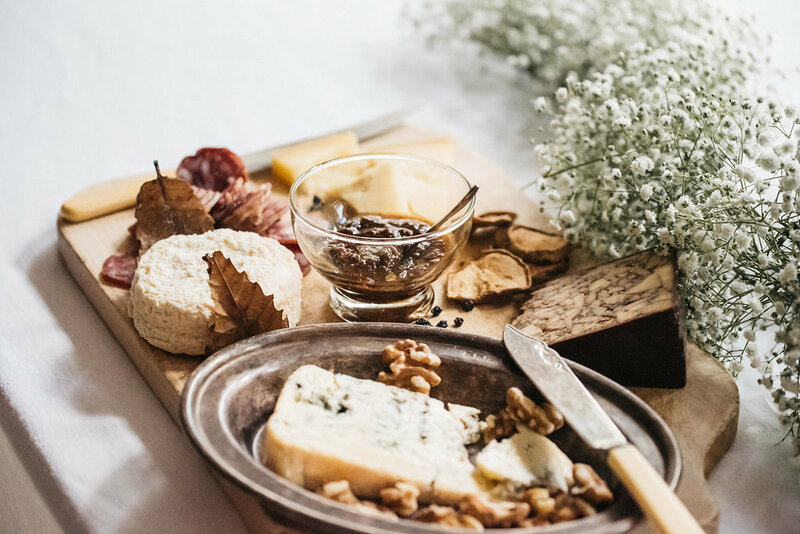 Amanda from Peppermint Photography has always had a natural flair for capturing both light and dark in a single frame so she was the prefect selection for capturing the moments throughout the day. 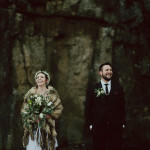 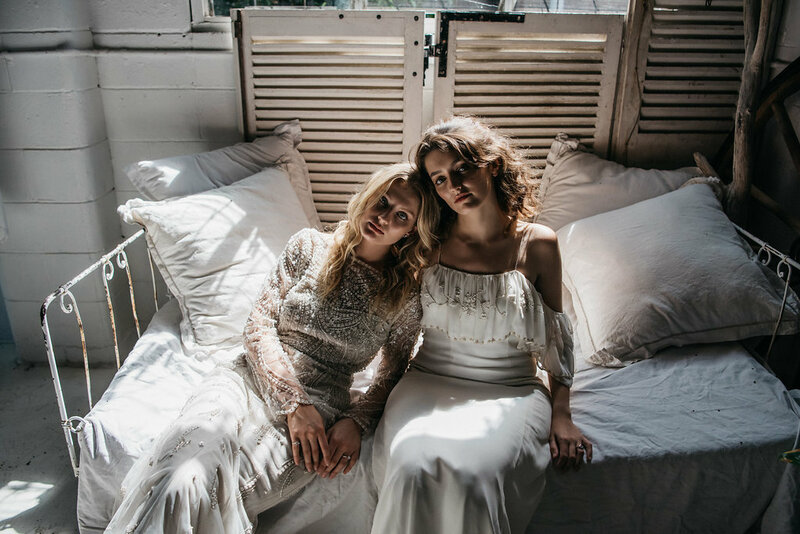 The girls wore a combination of Temple by Bo and Luca and also the standout Parisienne Gown by Bo and Luca was the perfect choice for the French inspired venue.